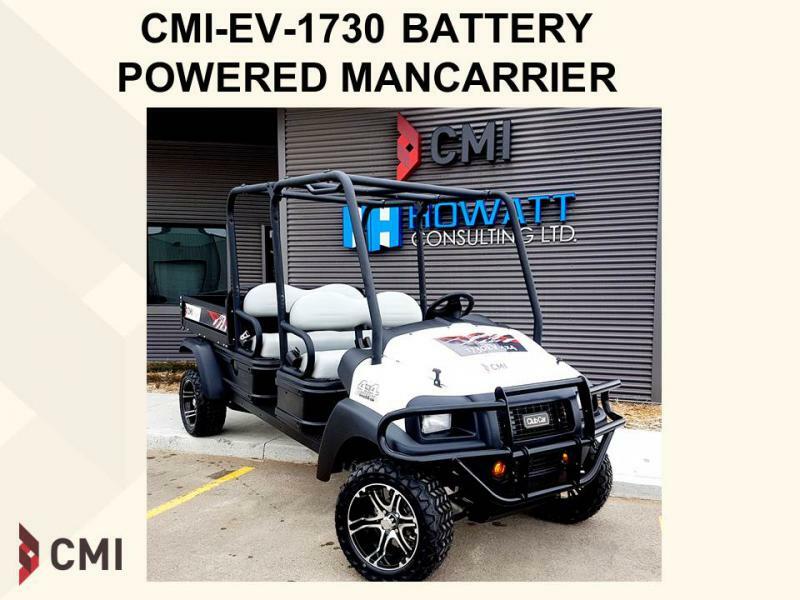 At CMI we collaborate to define and provide innovative solutions. We focus on understanding our customer's challenges and opportunities to bring fit for purpose tailored solutions that meet these needs. 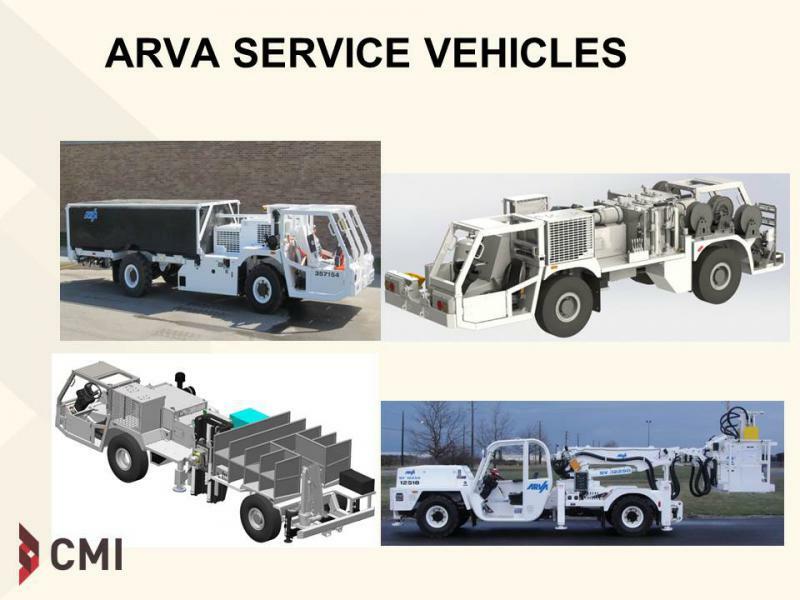 We do this by a combination of CMI OEM equipment such as bulk materials handling or battery powered mobile equipment or through a distribution model for cranes, utility vehicles, slurry pumps etc. 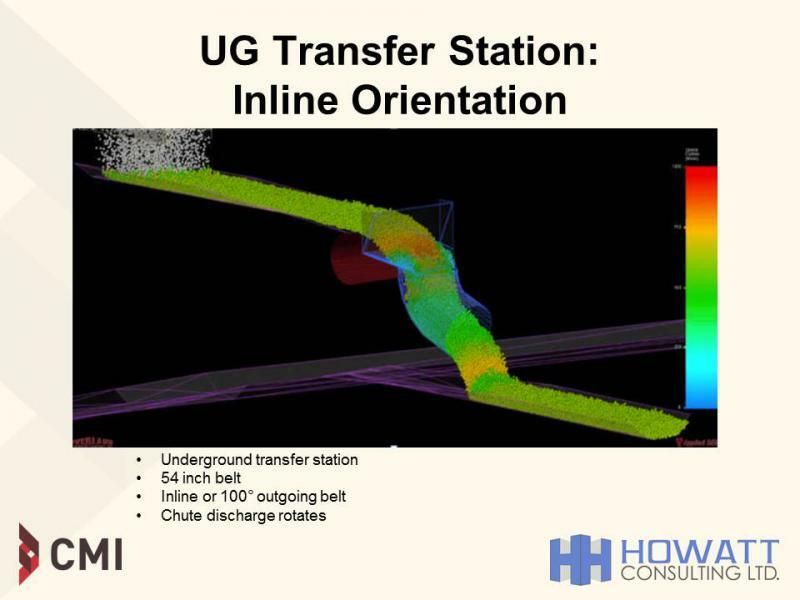 CMI can bring value to any surface or underground mining operation. 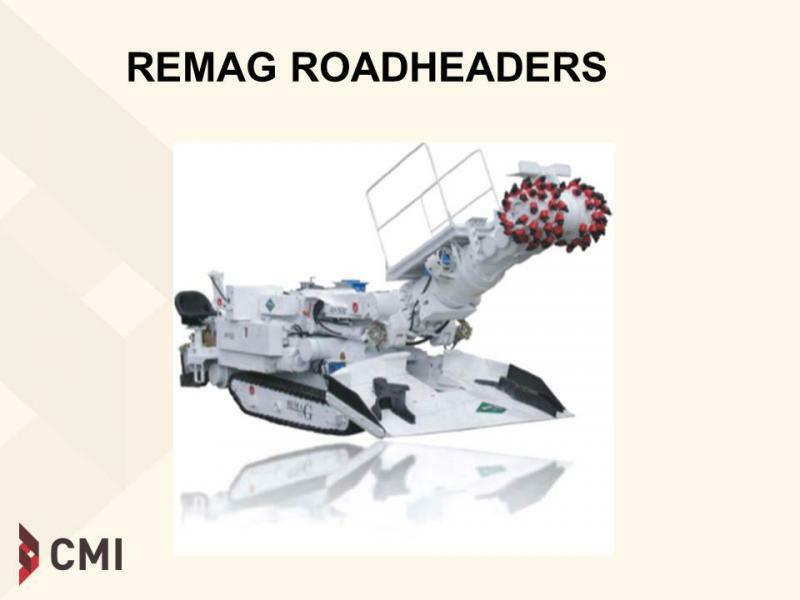 We specialize in underground mining equipment but have expanded our focus to include major projects through the EPCM’s such as Wood, SNC and Hatch, surface milling operations and all types of mining throughout North America. 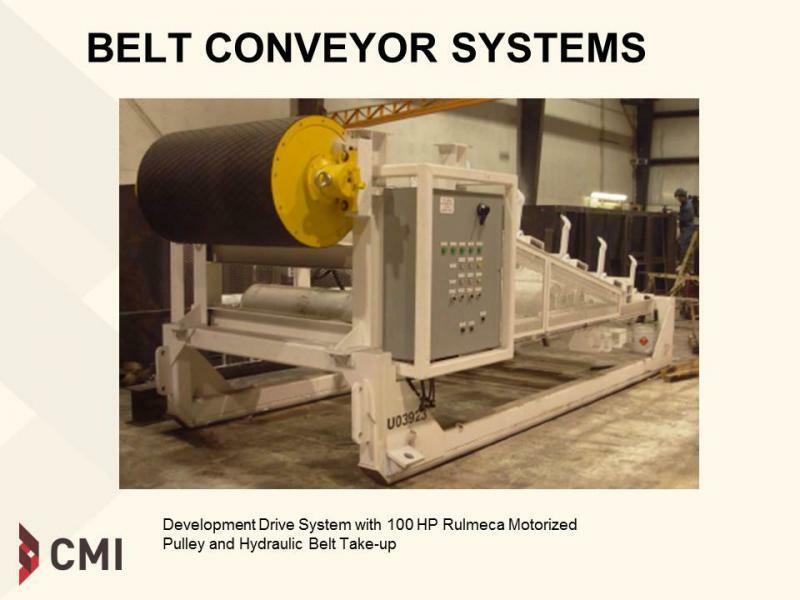 We have expanded our OEM equipment to include Feeder Breakers, Rotary Plow Feeders, up to 72 inch Belt Conveyors, Battery Powered Man-carriers and Diesel Powered Conversion to Battery powered systems and any other customer specific requirements. 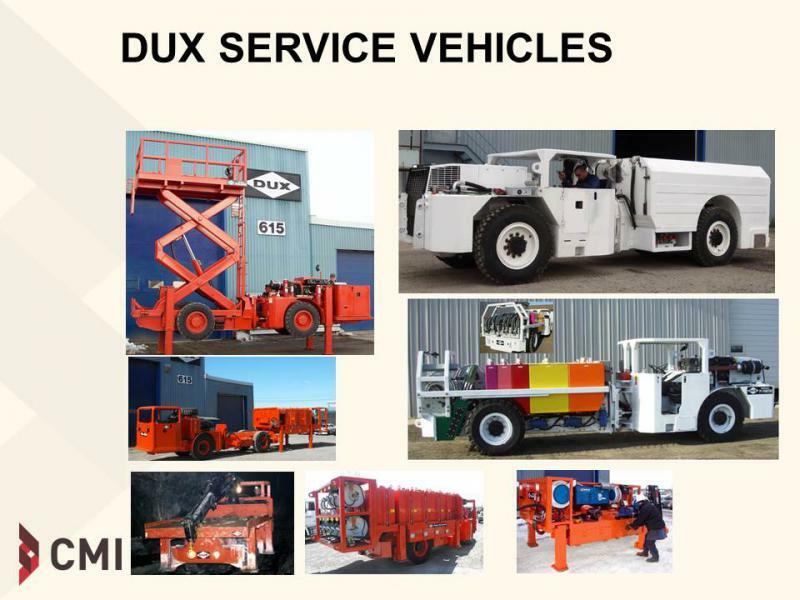 We have expanded our distribution network to include all of the components used in our OEM systems, low profile mine utility vehicles, low emissions service trucks, road headers, shaft sinking hoists and hoisting equipment, slurry pumps and a number of other key materials and equipment required by the mining industry.